A sunset burial on the battlefield. 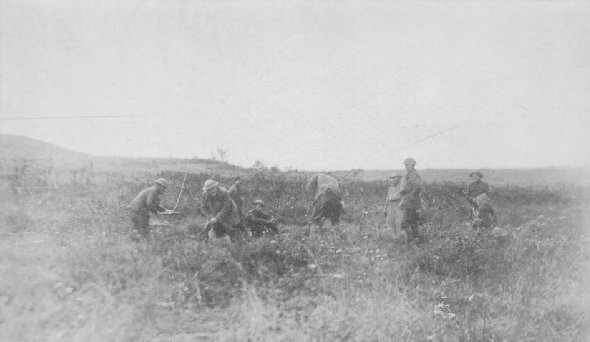 Burial squad of 53rd Pioneers, near Cheppy, Meuse, France, September 28, 1918. Everyone who was at the front knows that it was absolutely impossible to identify all of the dead. 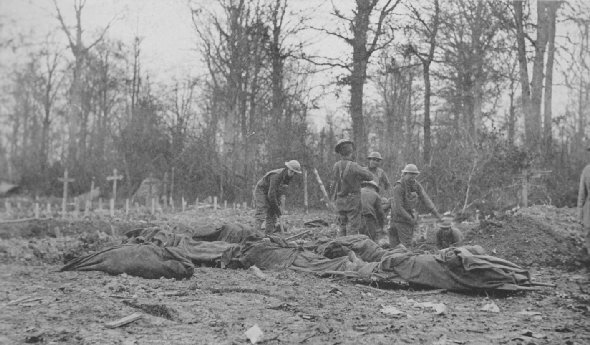 This picture shows the dead being buried on the edge of the Bois de Consenvoye, Meuse, France, November 8, 1918.